I thought it might be a great idea to celebrate my 33rd birthday last Friday with some jumping- 3'3" to be specific. Better safe than sorry (given that we've only pushed that 3ft+ envelope once before)- bring on the grid! 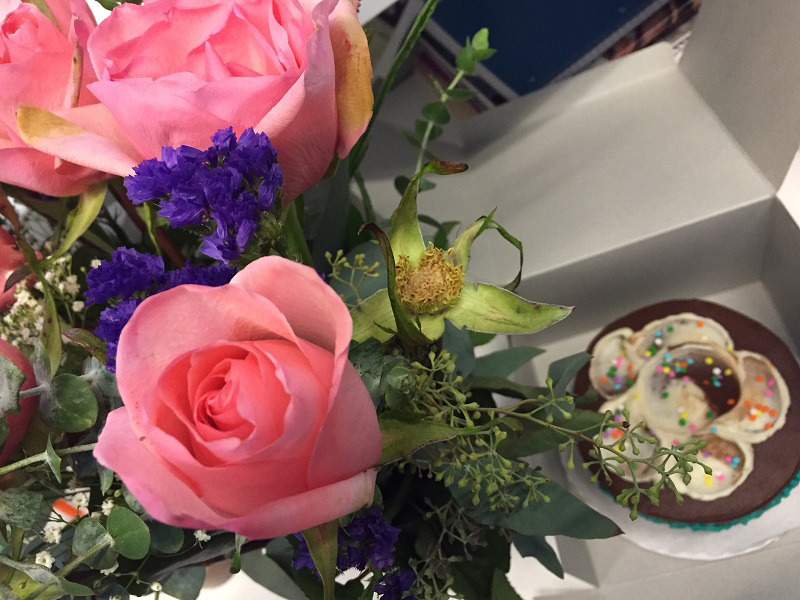 It's my birthday week (tomorrow is the official day) and since I'm obviously taking a vacation day to celebrate, my awesome coworkers surprised me with flowers and a cake! And Doughnuts. And Chipotle. I am going to need a forklift to get out of here!